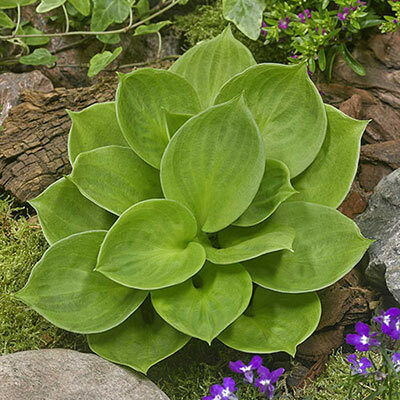 Round, green leaves; pale lavender flowers. 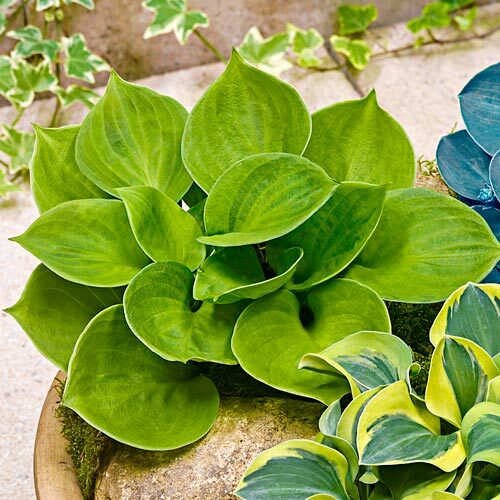 Thick, attractive foliage and compact habits make mini hostas perfect for decorative patio pots, troughs and rock gardens. These easy-to-grow hostas are a great accent to bright, colorful annuals. Their thick foliage resists slugs and snails better than many other hosta varieties.